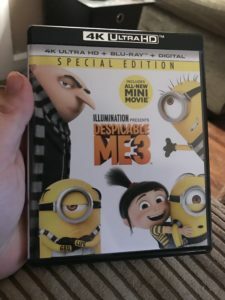 Despicable Me 3 - 4K UHD Review - ReDVDit! Despicable Me 3 (or as it was stylized in marketing and on screen, Despicable M3) is a 2017 American 3D computer-animated action comedy film that was produced by Illumination Entertainment for Universal Pictures. It is the third main installment, fourth overall of the Despicable Me film series and is a direct sequel to the 2013 film Despicable Me 2. The film was directed by Pierre Coffin and Kyle Balda, and co-directed by Eric Guillon, and written by Cinco Paul and Ken Daurio. 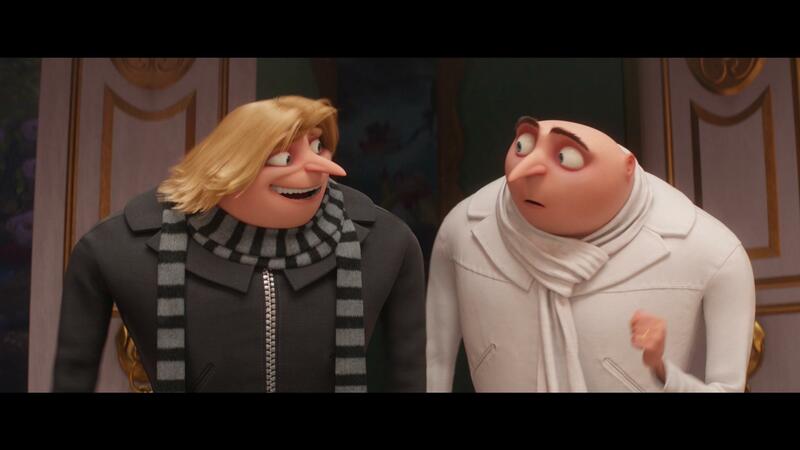 In the film, Gru teams up with his long-lost twin brother Dru in order to defeat a new enemy named Balthazar Bratt, a 1980s child actor who grows up to become an evil villain. 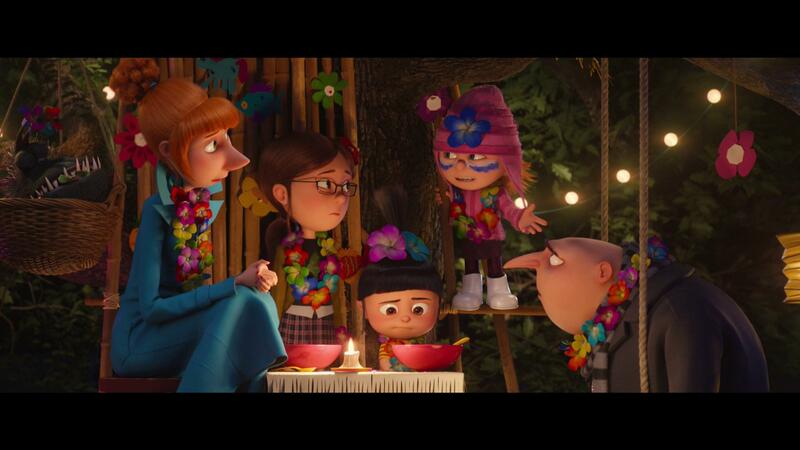 Steve Carell, Miranda Cosgrove and Dana Gaier reprise their roles of Gru, Margo and Edith from the first two films while Julie Andrews returns as Marlena, Gru’s mother from Despicable Me (2010). Kristen Wiig and Steve Coogan return from Despicable Me 2, while Trey Parker, Jenny Slate and Nev Scharrel (replacing Elsie Fisher as Agnes) join the cast. Making its initial premier on June 14, 2017, at the Annecy International Animated Film Festival, Despicable Me 3 was released in the United States on June 30, 2017, by Universal Pictures in 3D, Real 3D, Dolby Cinema and IMAX 3D. 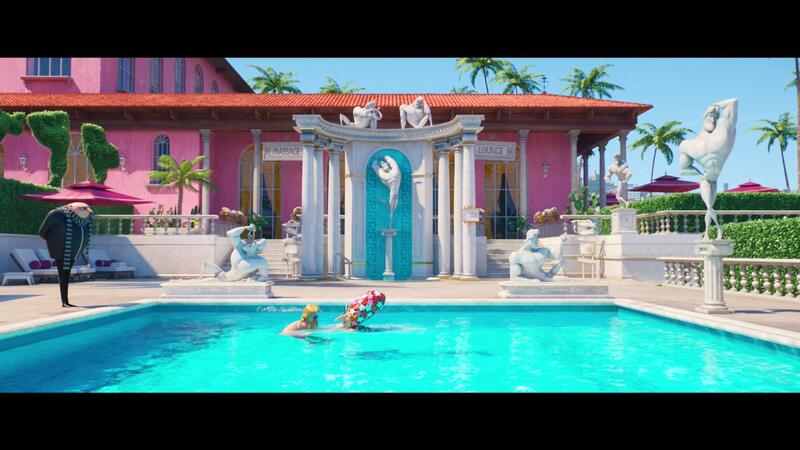 Overall, the film has received mixed to positive reviews from critics and has grossed over $1 billion worldwide, making it the third highest-grossing film of 2017, the fourth highest-grossing animated film of all time, and the 24th highest-grossing overall. It is Illumination’s second film to gross over $1 million, after Minions in 2015, becoming the first ever animated franchise to do so. 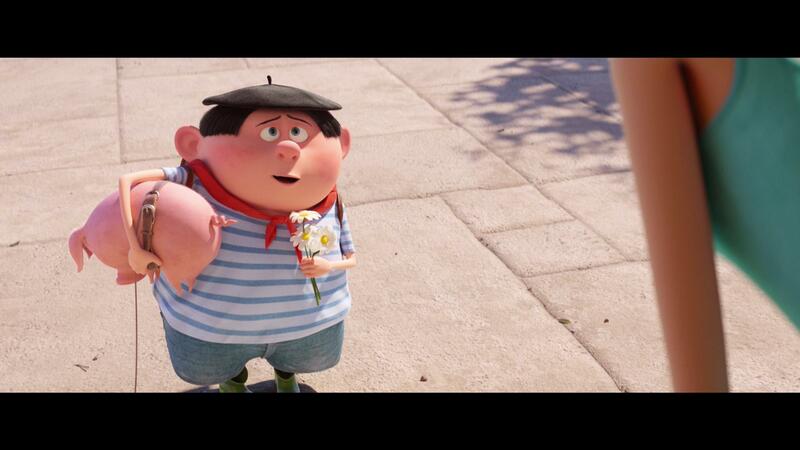 Despicable Me 3 is a film that is definitely geared more toward younger audiences. That said, the overall experience that I had with this film wasn’t all that bad, nor was it all that great. Despite my underlying hatred towards the minions, the story that we’re given with this film is a decent one that offers laughs for audiences of all ages and it is one that holds up really well throughout. There really weren’t any notable points of this film that stood out, but overall the film wasn’t too bad. Presented in an upscaled 4K (2160p) presentation, Despicable Me 3 looked really damn nice as it played out across my living room television. Most of, if not all of that really nice picture quality is due to the included use of HDR. Offering not only a clean and clear look into the continued adventures of Gru and his posse, but a really vast and bright picture presentation, and sharp color palette, it looked amazing. Giving the picture some crisp animation lines, you can really tell that the production crew put in some long hours making the visuals for this feature, regardless of it being rendered at 2K. Packaged with a DTS:X audio track, Despicable Me 3 does everything that it can to offer an all out immersive experience for its viewers. Power-housing through capable home theater systems, this release does a nice job of including the audience right into the story as well as making it known when a more serious aspect of the story was about to play out. Personally speaking, I think this release would have sounded much better with an Atmos track and the use of elevation in the audio. Given the variety of sequences that occur and where they take place in this film, Atmos technology would have really shined in this release. 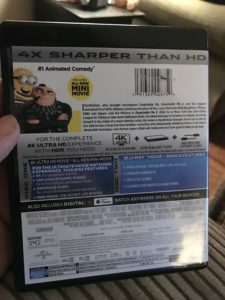 Despicable Me 3 comes packaged in your standard two-disc 4K UHD amaray case. Within that case is the standard 4K UHD copy of the film as well as the standard Blu-ray copy of the film. The included 4K UHD copy of the film does feature a piece of artwork that’s relative to the film and differs from the case art, while the included Blu-ray copy does not feature any artwork whatsoever outside of the standard release text. There are no DVD copies of the film included, however there is a digital copy redemption pamphlet that has been provided. There is also a slipcover that’s been provided during the initial run of this release. 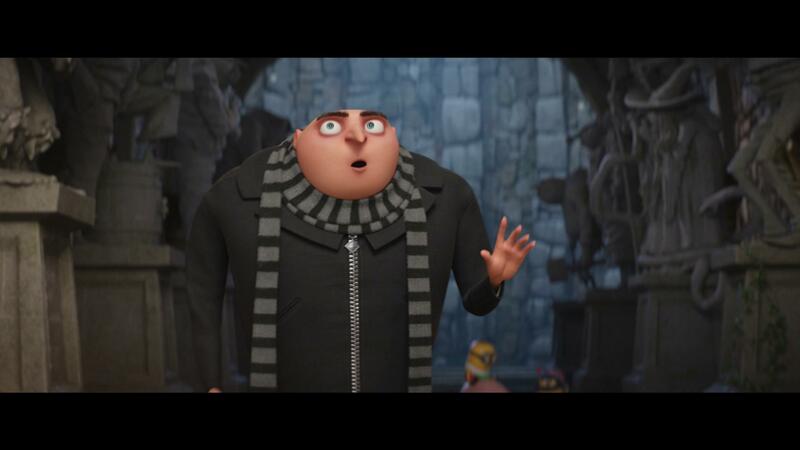 Generally speaking, Despicable Me 3 is not a terrible film by any means. This movie is directed toward a much younger audience than I am, and had my son been old enough to appreciate it, I’m sure I would have enjoyed the overall experience much more. I’m sure he and I will be revisiting this in a couple of years. The included video presentation was absolutely stellar, and this film really shined with its use of HDR throughout. The included audio track was really nicely done, however I feel that it could’ve been a lot better had it been an Atmos track. There are a decent amount of special features that have been included that allow further exploration of the film. If you’re considering grabbing this film for your collection, I would definitely recommend picking it up if you’re a fan of the series or have children who can appreciate it too. 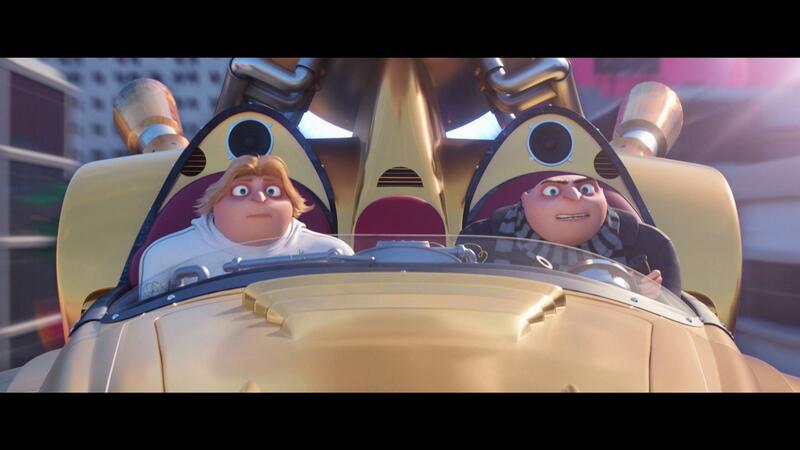 Despicable Me 3 is available for preorder now, and will be released on December 5!